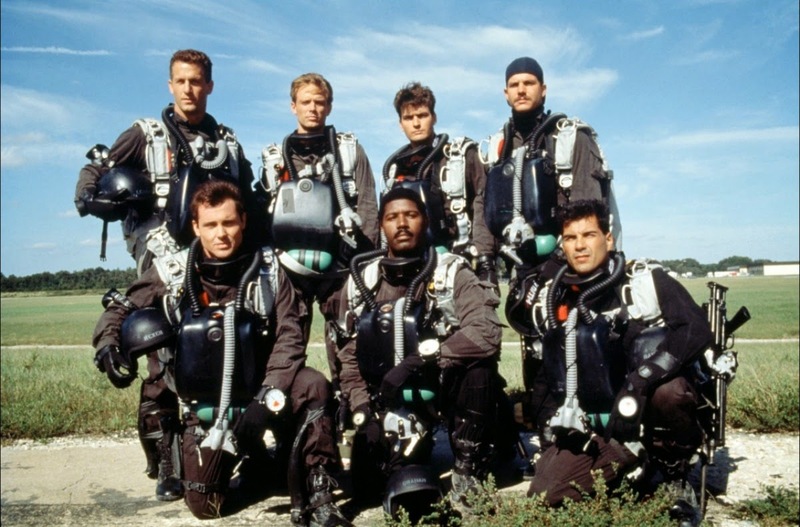 NAVY SEALS ejected in 1990. Twelve years of Reagan/Pop Bush right-wing muscle-flexing gave us more than a busted economy. We were also barraged with movies about elite units of poster-boy jerks who littered the landscape with all manner of Commie, terrorist, or in a pinch, the odd drug dealer. This soggy tomato in that overripe patch has the guys just too cocky, too deadly, too insubordinate. They are also too predictable, too boring and too much to ask us to pay attention to. 113 minutes down the drain with Charlie Sheen, Michael Biehn (“…working on this film was probably the worst experience of my life”), Joanne Whaley, Rick Rossovich, Dennis Haysbert, Bill Paxton and S. Epatha Merkerson. Directed by Lewis Teague for $21,000,000, earning back only $25,000,000. De-enlist. So cool you almost don’t believe it. Rilly….